Earlier this month I sent a couple of images for inclusion in an exhibition at the Wallace Gallery Morrinsville called “Tools of the Trade,” about the many and varied tools artists use to create their works. 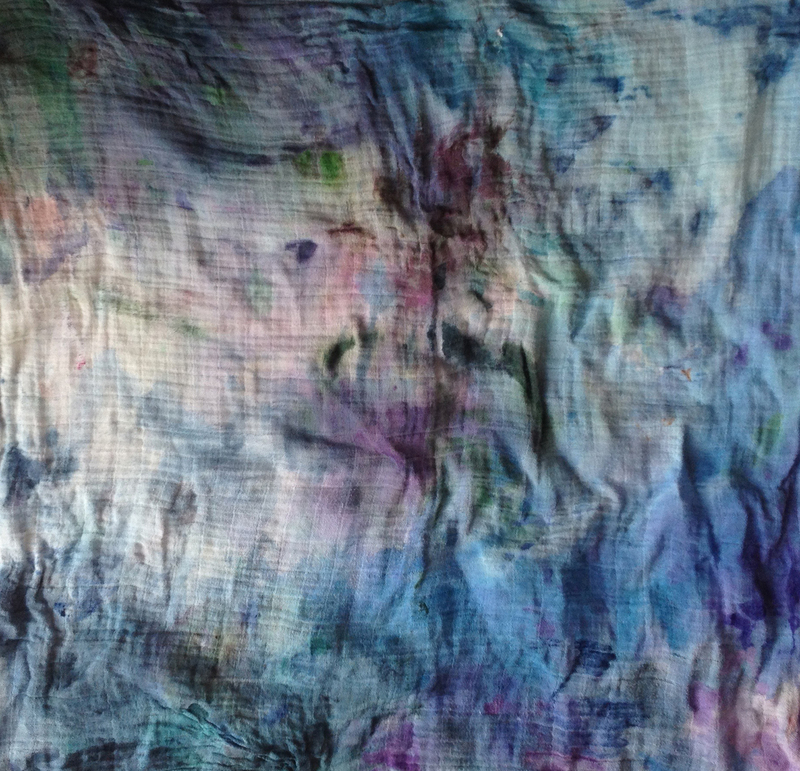 This is a subject I find really interesting, having spent a few years in my twenties selling art materials both in New Zealand and in Dublin. I often find the juxtapositions on my palettes lead me to consider different colour and form combinations and they can provide an unlikely but useful source of inspiration. 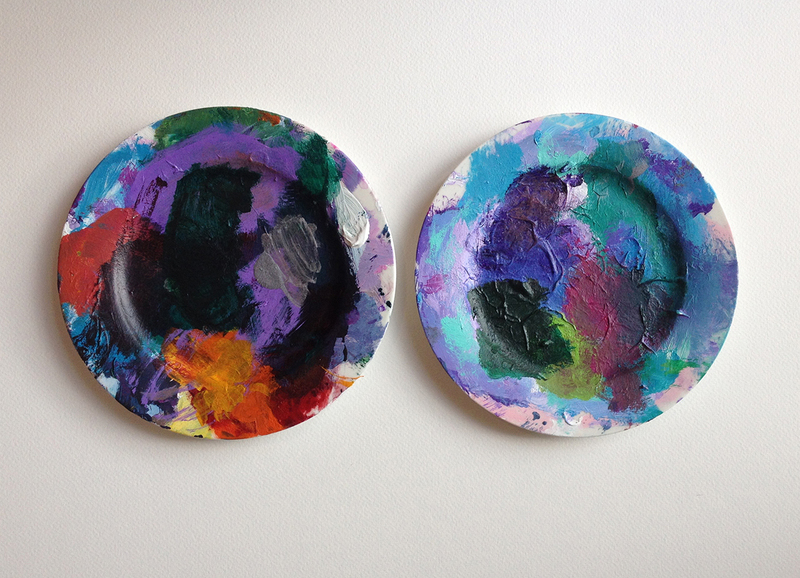 I use old ceramic plates for palettes and muslin cloths for rubbing back paint layers. Recently the Auckland Museum shut down its long running Centennial Street Display which prompted a visit on the last weekend. 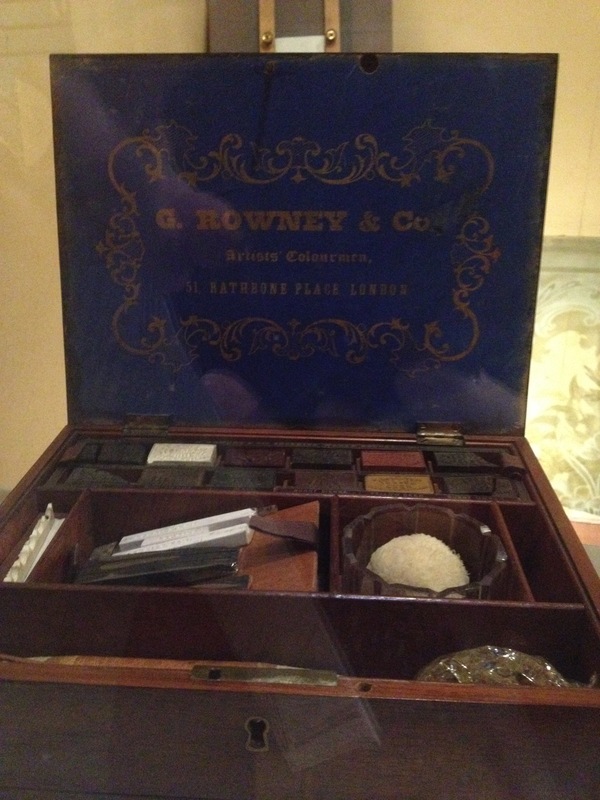 I spotted this antique painters set in one of the shop windows. 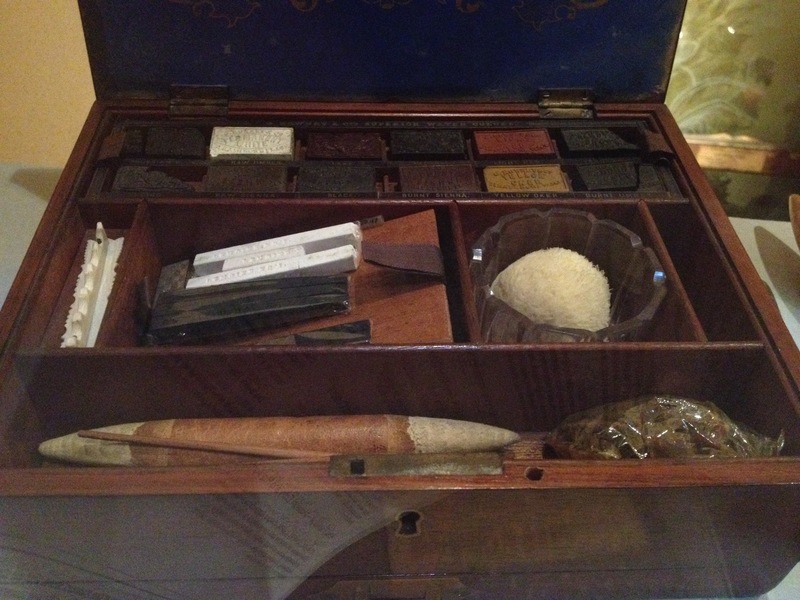 These artist’s tools haven’t changed a great deal over the years but the packaging certainly has. In the studio I have been experimenting with expanding my range of tools and techniques. 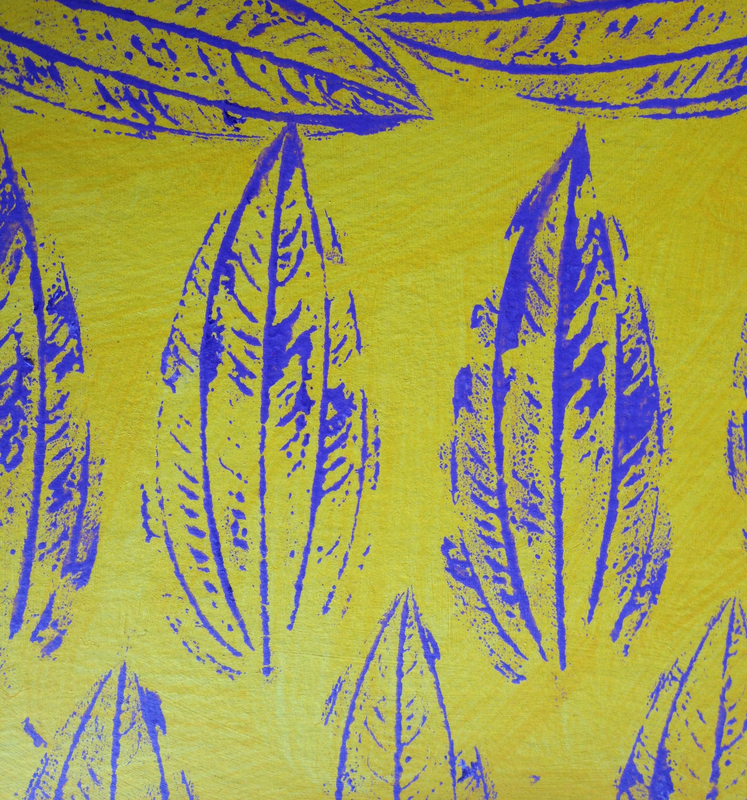 The result is some very rustic printing using bits of cardboard, die-cut paper and leaves from the garden. The effects are a little bit unpredictable and will be useful in upcoming works. 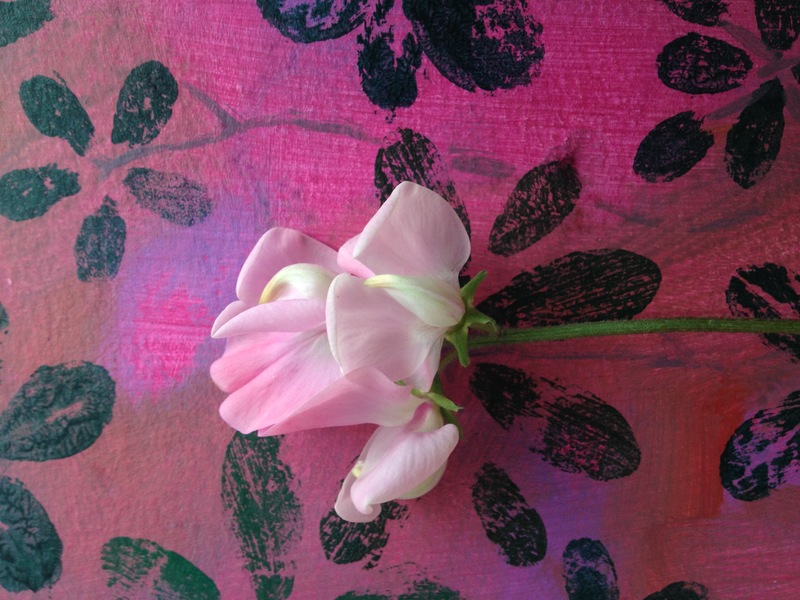 The first sweet pea flower from the garden filled my whole studio with lovely fragrance. 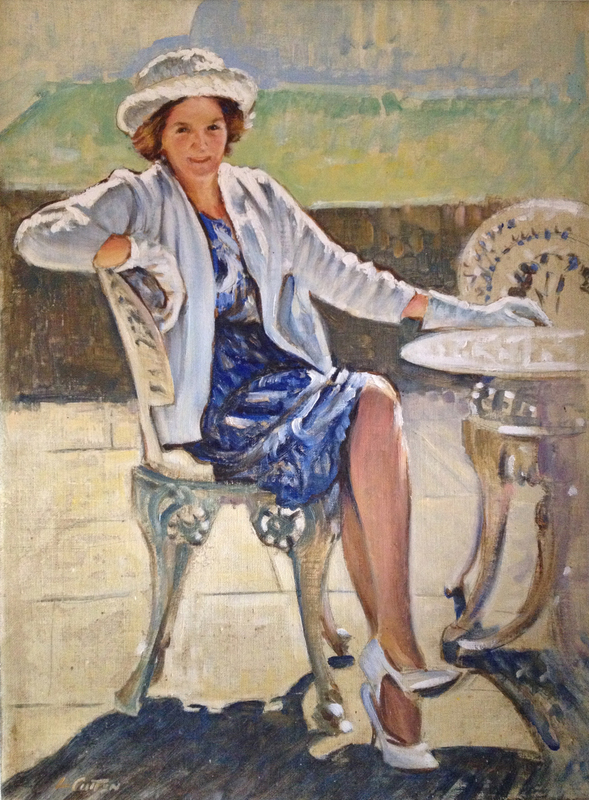 This beautiful woman pictured above is my grandmother Jean, painted by my grandfather Len. There are many festivals around the world at this time of year that involve remembering and honouring the dead and it is with this in mind that I have included her image.